One in eight people in the UK go hungry every day, with the most needy increasingly dependent on food banks. There are lots of charities who would greatly welcome food as well as other new and gently used items. Perfect for Interfaith and Businesses, and suited to all age groups, a Collectathon is simple to organise and can make a huge difference to local charities. There are two ways to approach this type of project. Either set up a local collection point, asking for items to be dropped off directly to you, or contact your local supermarket to gain permission for a team to collect items from shoppers on Mitzvah Day. You may already know of or be working with a local charity. Contact them to find out what particular goods they would welcome and ensure you are able to make suitable arrangements to deliver the goods to them. Take a look at the Available Projects page of our website for some ideas. Ask the charity to send you some information or leaflets about them that can be used to encourage people to donate. Alternatively, the charity website will have information you can print out for this purpose. Organise a team of helpers to be available on Mitzvah Day to make sure that you have enough boxes and bags at your collection points, people to sort the collected items and deliver them to your charity and take photos. Advertise your collectathon in advance. Let people know what you are collecting, for which charity and where your collection points will be. Make sure that your collection points are easily spotted by donning your green Mitzvah Day T-Shirts and decorating the area with Mitzvah Day bunting, balloons, posters and so on. Ensure that your collection points are well stocked with boxes and bags for the items that will be donated. If you are collecting outside a supermarket, make sure that you have plenty of information leaflets to hand to shoppers as they enter the store. Allocate roles to ensure that your collected items are sorted and delivered to your charity. Thank your volunteers and all those involved and encourage them to get involved in the future with the charity they collected for. 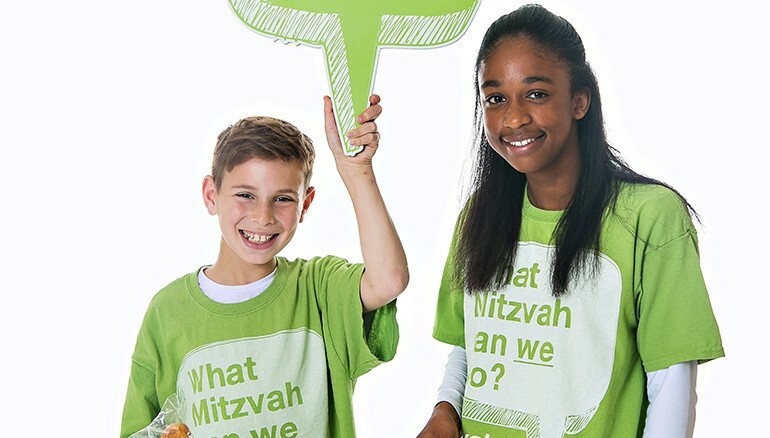 Send Mitzvah Day some photos and let us know about your successful Mitzvah Day Collectathon Project!